Sugar and spice and everything nice that's what little girls are made of! 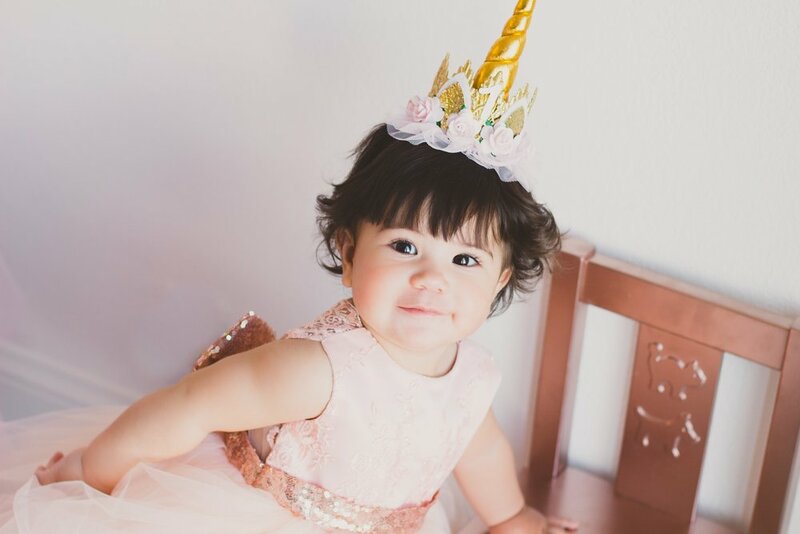 A dreamy pink unicorn first birthday party for a special little & very much loved and adored girl. 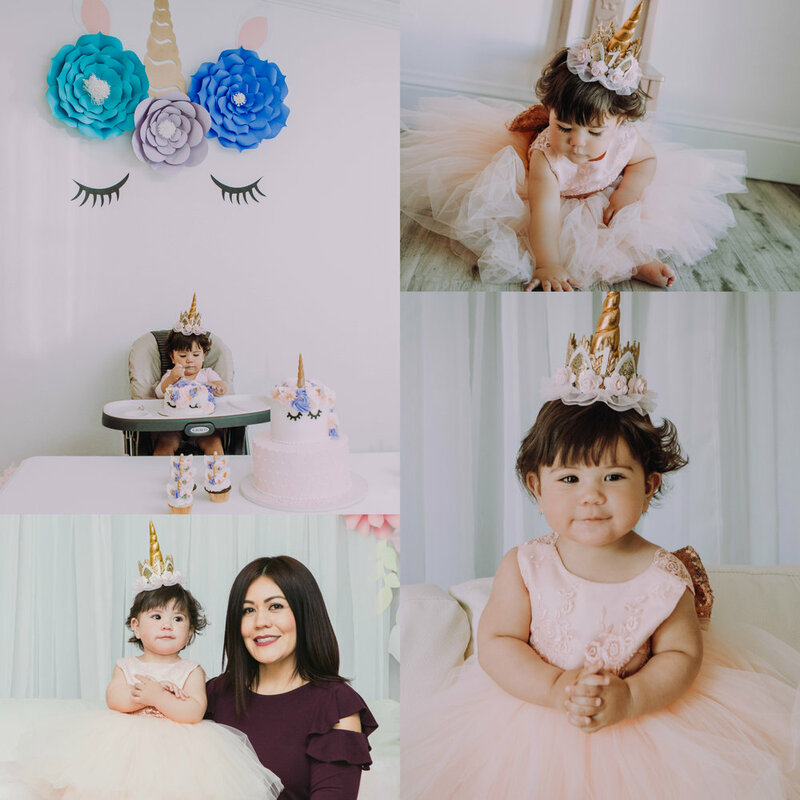 Handcrafted oversized paper flower decorations were made by the birthday girl's creative mama and auntie, as well as the homemade backdrop and unicorn headbands. 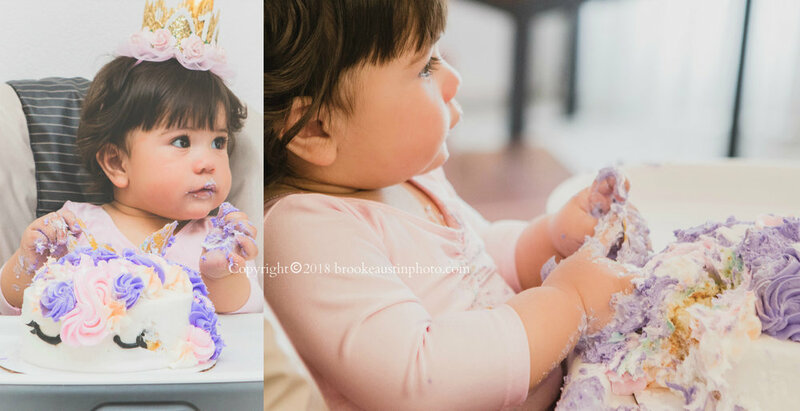 Aren't this doll's couture party dress by Itty Bitty Toes and magical unicorn crown by Love Crush Crowns simply delightful?! So fun! Gorgeous and delicious unicorn cake & cupcakes by Cakes by Karen Colorado. 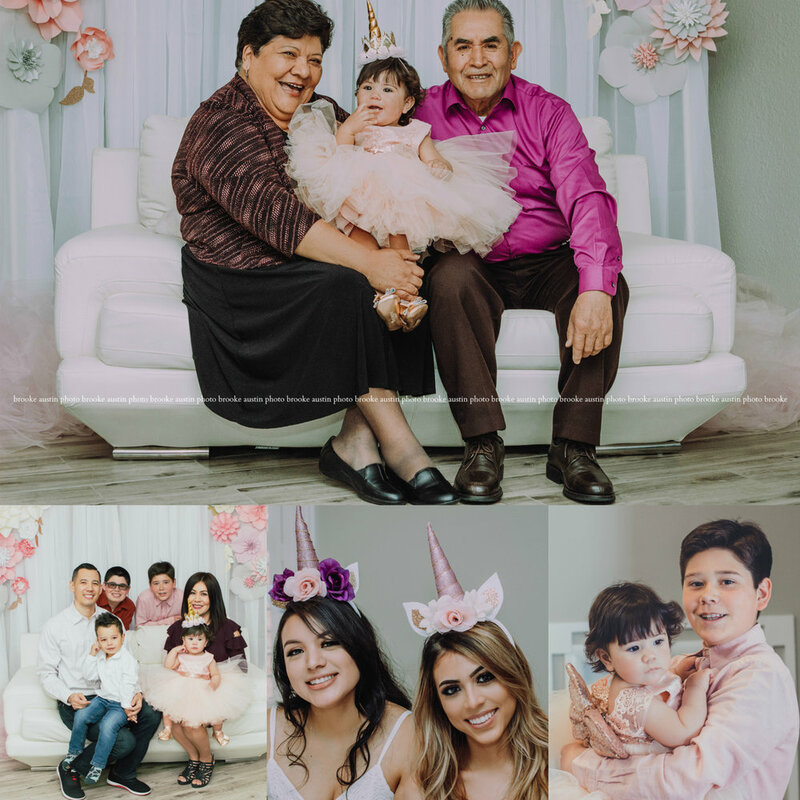 Take a look at some favorite captures from a sugar + family filled celebration. Photographing small events is great fun and this hospitable and close knit family was a delight to work with. Make a wish!